Though winter is still with us, there is a feeling of spring in the air. The sun is more present in our sky, the air is warmer, and we start to feel more active and energized. Festivals are a good way to channel that energy, places where we can have fun with our friends, learn new things, meet great people. Because the list is long and it’s hard to keep track of all the great options we created a list to help you find the best alternatives for you. We are curious to learn which the most exciting festival in Romania, according to you, our readers. What events do you eagerly wait for a whole long year? Do you prefer the freedom one can find in nature over the practicality of an urban festival? What are the artists you just have to hear or see in 2019? Do you prefer to participate or to observe? No matter the answers, there sure are some festivals to catch your interest. Pre-sale tickets and passes can start as early as December for some of the most anticipated festivals, so it’s a good idea to start planning soon. Scroll to see over 90 options we discovered so far in the realms of music, film, arts, and lifestyle. Don’t forget, you can suggest more festival titles in the comments area below and they might be added to the poll. 3 Smoked Olives Island Festival is a quite unique event on the Romanian music scene. With a strong emphasis on the environment, this festival is a new adventure every time. At just an hour away from Bucharest, on an island in the Danube, 3 Smoked Olives have all the traits for a perfect escape from the busy life of the city. 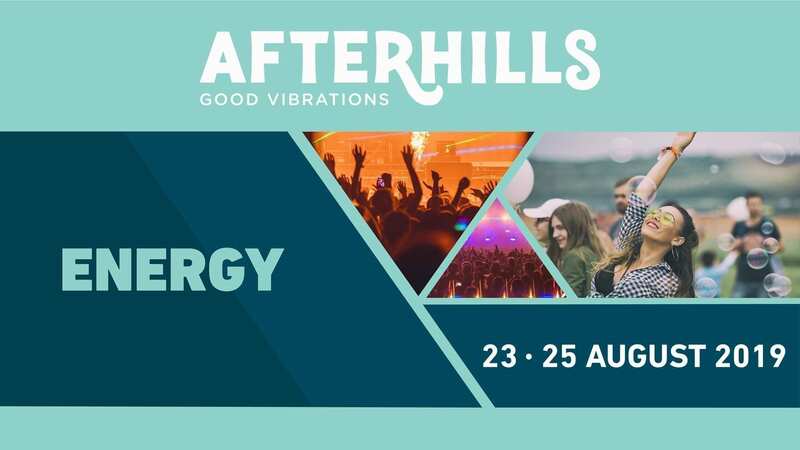 Good Vibrations is the motto for one of the most prolific Romanian music festival, Afterhills. Music and arts meet in one of the most beautiful landscapes Romania has to offer. The energy will roam freely and you will have an amazing time. If you are a fan of rock music than ARTmania is a festival you can’t miss. 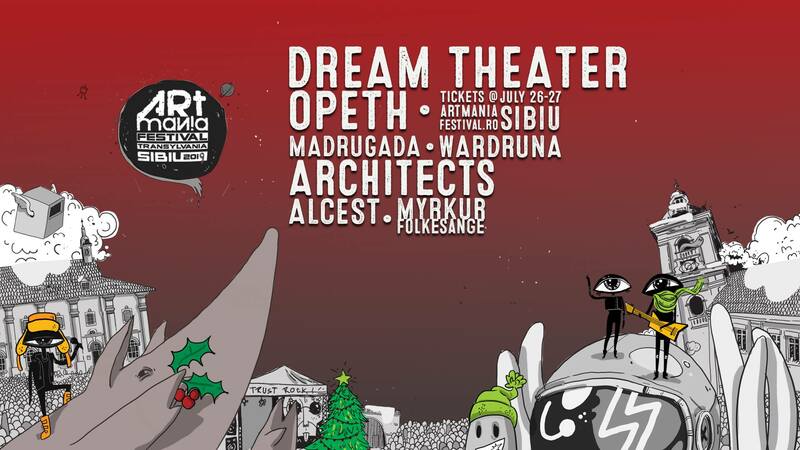 This event invites rock and metal bands to perform in the beautiful Romanian city, Sibiu. Awake Festival brings great music in the middle of Ardeal. The festival is looking to offer an eclectic experience, not just concentrating on music, but also celebrating whimsical, creative, and vibrant forms of art. Balkanik Festival takes pride in bringing traditions into the contemporary. Since 2011 the Festival is a must-see on the Bucharest event scene. 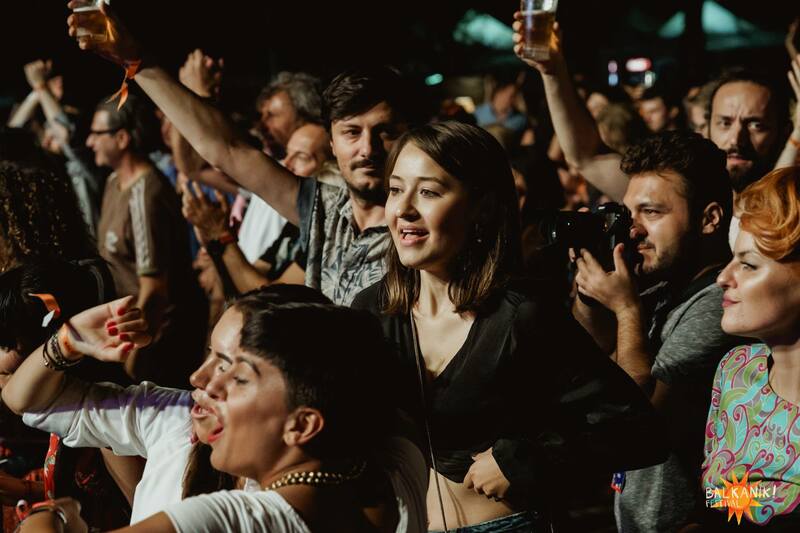 A truly unique dancing experience, Balkanink Festival is the place for unforgettable discoveries. Six years ago a new festival was born. 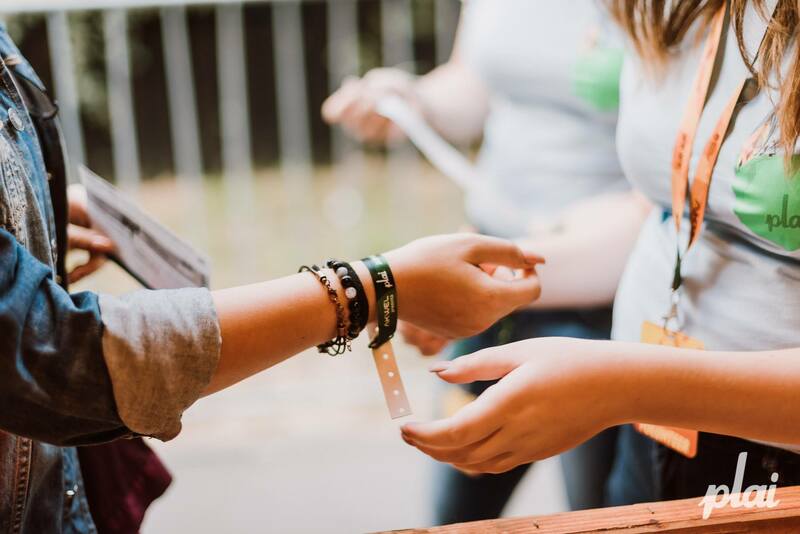 Blaj aLive offers a weekend full of opportunities, concerts, and fun activities. This festival supports artistic freedom of expression and hopes to promote worthy artists. GreenSounds Festival brought quite a few interesting artists to Herastrau Park. With a mix of local and international bands, GreenSounds Festival attracts a diverse crowd eager to have fun. 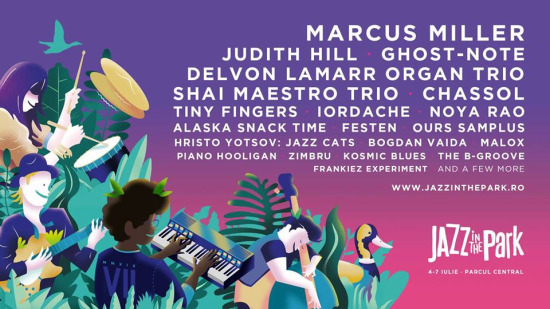 Bucharest Jazz Festival is a nice opportunity for Bucharest born jazz lovers, but not only, to enjoy some of the finest jazz music in a beautiful setting. Creative Fest is one of the biggest art and urban culture festival in Romania. Last year Fat Boy Slim and Guano Apes where the biggest names to grace the scene. With a desire to connect artist from different backgrounds, Citadela Festival managed to transform through underground music the cultural landscape of Deva city. Magical, experimental, wonderful are just a few of the words you can use to describe Dakini. An experience, more than a festival, Dakini invites artists from all around the world at the Romanian SeaSide. Dava Festival has a funky spirit and takes pride in its carefully curated line-up. 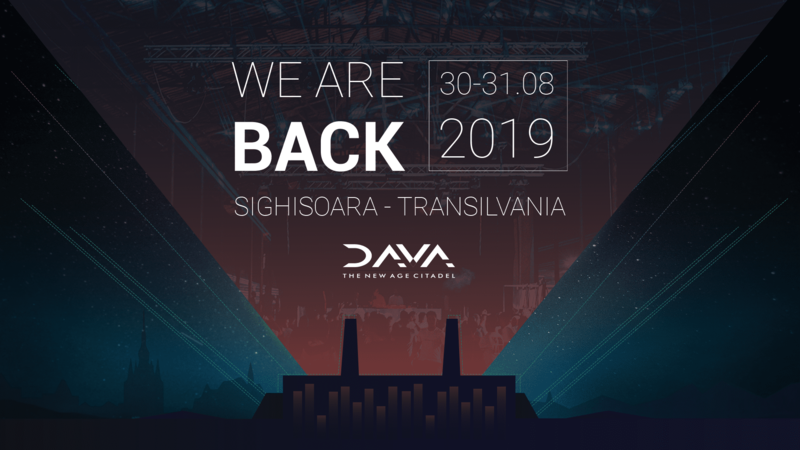 Every year Dava tries to build a New Age Citadel of Electronic Music in the famous Romanian city, Sighișoara. 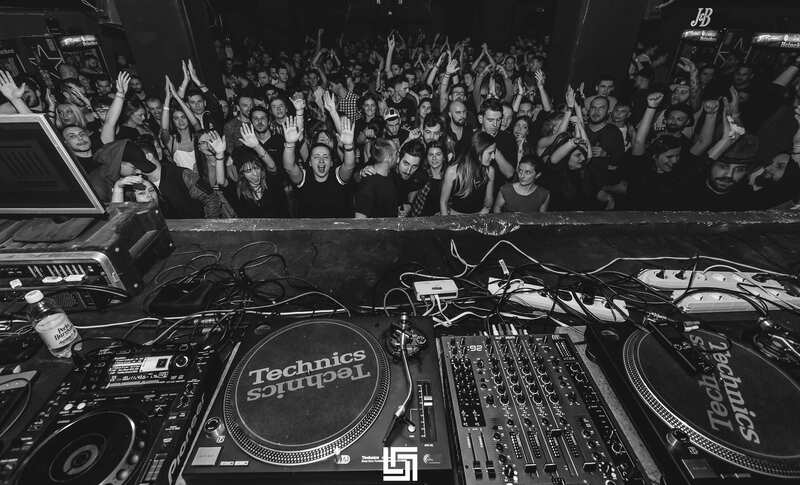 Delahoya is the oldest electronic music festival in Romania. 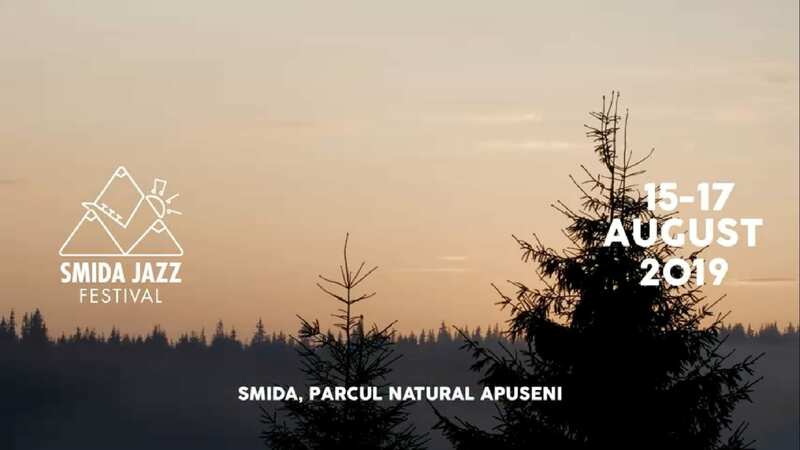 Durușa Summer Hills has a few simple, yet very important principles: popularize an alternative and sustainable way of life, integrate art and culture in rural life, respect nature. 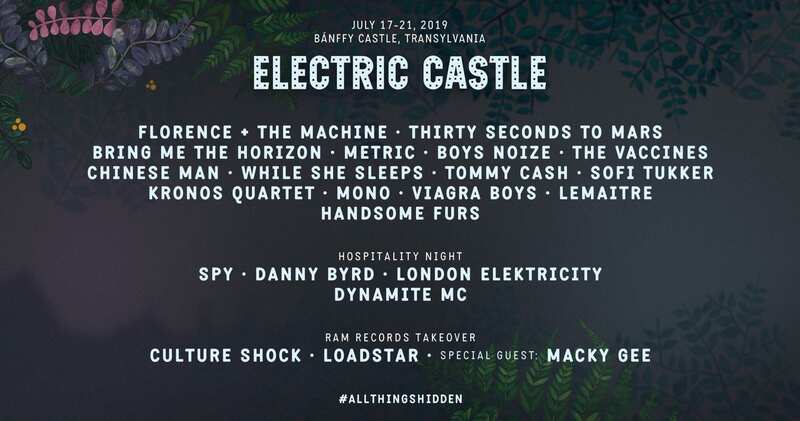 Without a doubt one of the most famous festivals in Romania, Electric Castle transformed the Romanian musical landscape. No matter how rainy it gets, the music will always bring life to the Bonțida castle. 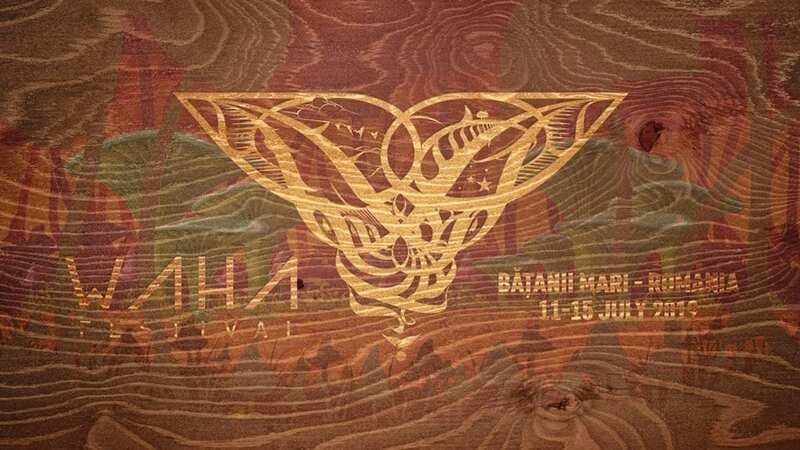 At its sixth edition, Celtic Transilvania Festival transforms Băile Figa, near Beclean, Bistrița-Năsăud county in a truly magical land. Gărâna Jazz Festival combines the smooth jazz sounds with the peaceful surroundings of the Caraș-Severin county. A festival with an over 20 years tradition, it established itself as one of the most important jazz events in Romania. George Enescu Festival needs little words. The most important competition of classical music in Romania, and one of the most important of its kind in Europe, this festival is a landmark in the Romanian cultural landscape. 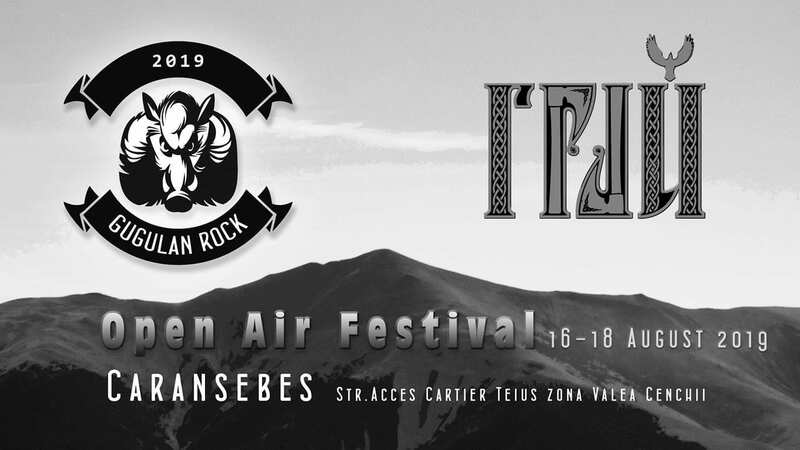 With a simple motto “In Metal we trust”, Gugulan Rock Open Air Festival is bringing every year its A game. In the historical region of Banat, Rock music has found a new home. One of the most hip cities in Romania, Cluj-Napoca is the home of Jazz in the Park Festival, which takes place in July. A great location is one of the most important elements for a fantastic festival and the Lutheran Church is such a location. 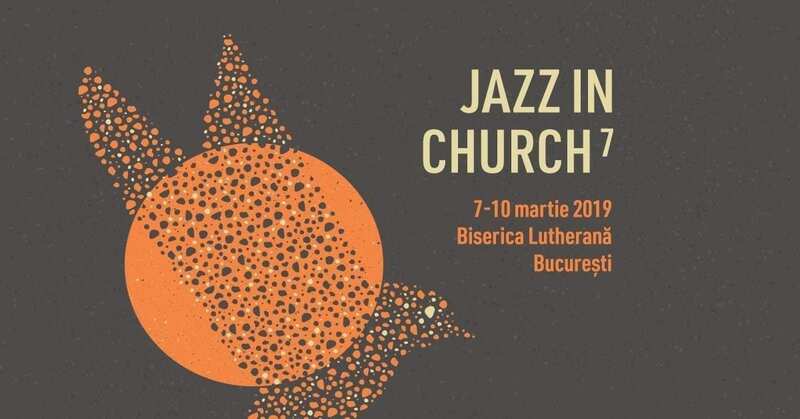 If you add in the mix some of the best jazz musicians out there, Jazz in Church festival can’t be anything else but a must see festival. Since last year the Black Sea has a new jazz festival. 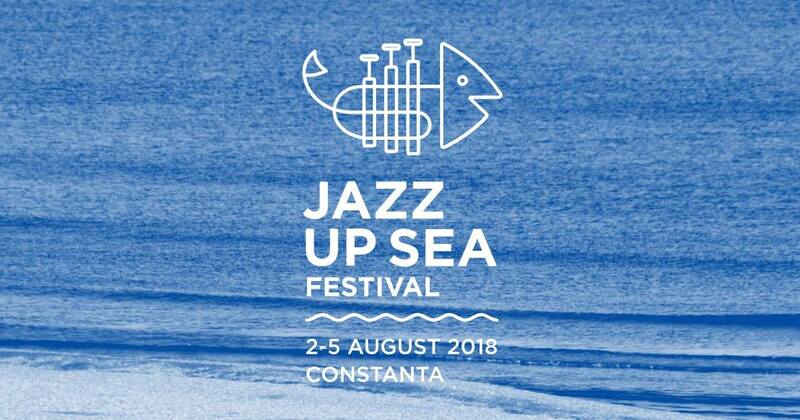 JazzUp Sea Festival is yet a pretty new addition to the Romanian festival calendar, but one that has already quite a few fans. 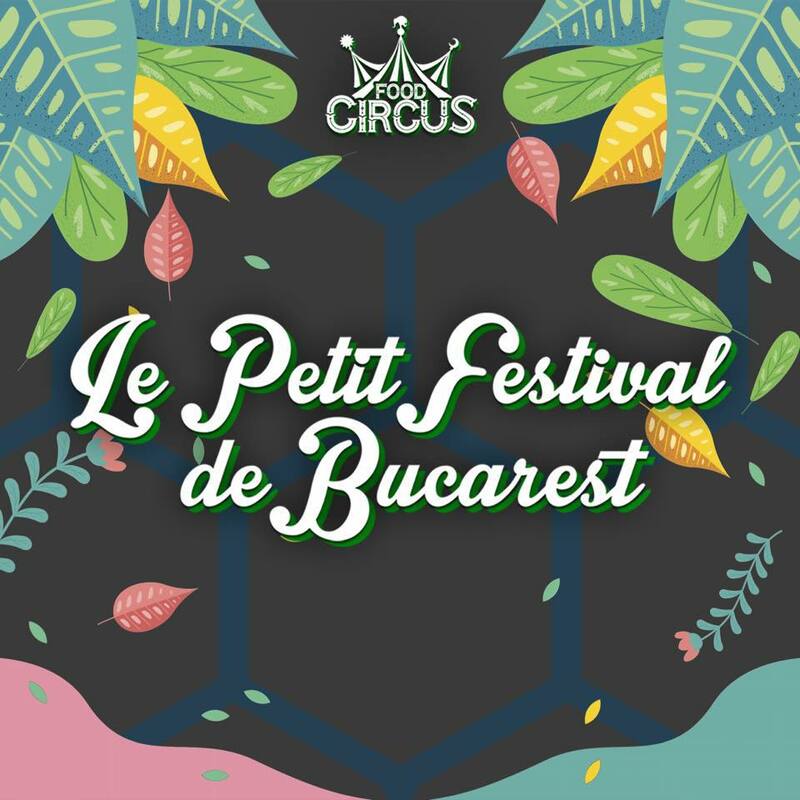 A festival that combines great music and delicious food is definitely a crowd favourite and Le Petit Festival de Bucarest is no exception. Lost in Space Festival is one of the most important underground music festivals in Timișoara. From 2016, year after year, Lost in Space brings a fresh feel to the city. Medifun awaits for you in the heart of Romania, at Târgu-Mureș. With a relaxed vibe, Medifun is perfect for chill underground music lovers. A festival for all the rock lovers out there, Metalhead Meeting is a very important musical event in Bucharest. The concerts are held at Romexpo. Mioritmic is a festival where the visual experience is just as important as the music experience. This credo proved very popular, and the festival is a success. Musai Fest creates a nice, relaxed atmosphere where music and nature can co-exist. Also since the scenes are set in Auzuga. 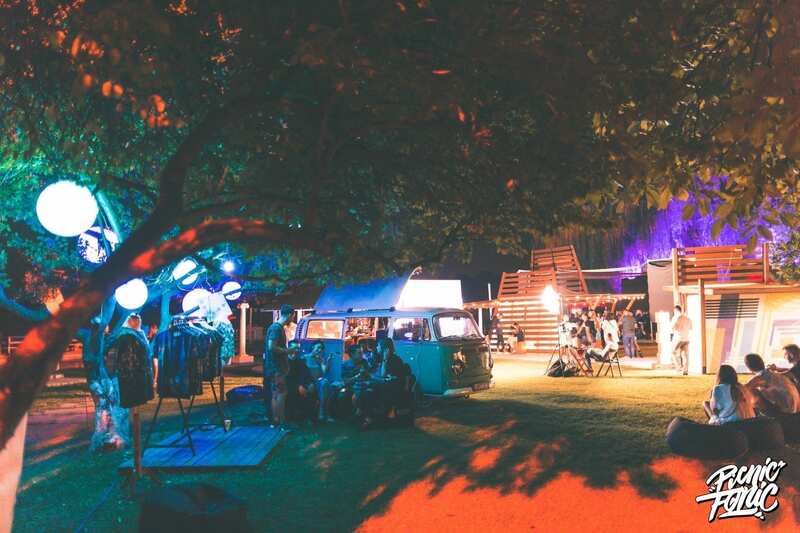 As the name says it Music Outdoor Festival holds at equal value music and nature. More precisely electronic music and mountains landscape as it is held in Valea Draganului, Cluj county. 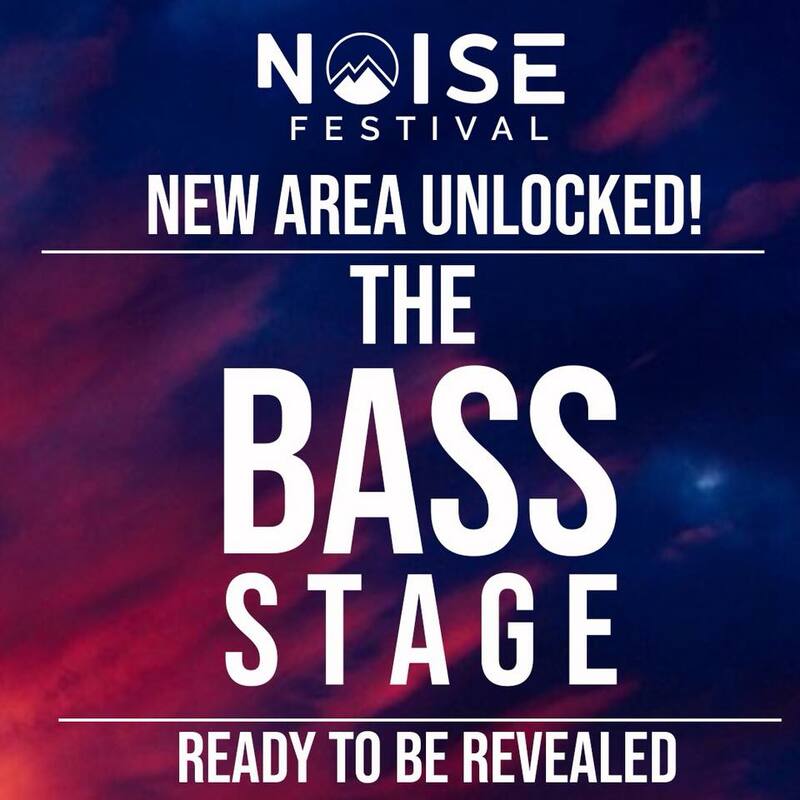 The first edition of Noise Festival was held just last year at the end of June. Even so, the festival received positive reviews from the public. Year after year, Neversea attracts a diverse crowd of music fans. All you need is a passion for music, a willingness to dance and the desire to have fun. From its first edition in 2015 the Picnic Fonic Festival till this year tried to offer a pleasant alternative to the city’s busy life. In Timișoara, Plai is known as a multicultural festival. With some important awards under its belt, this an important stop on the festival map. A member of the Exit family, Revolution Festival is also set in Timișoara. Aiming to spark revolutions of ideas, this is quite a festival. Born from the passion for independent electronic music, Rezistența Electronica is all for teamwork. Set in the Romanian capital, it brings together different locations. 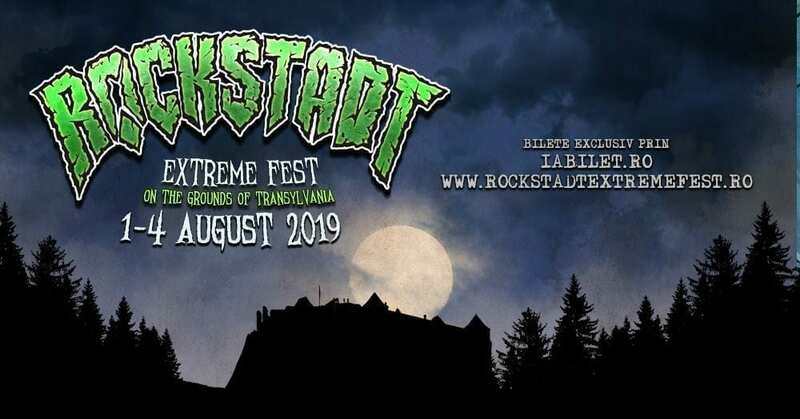 The seventh edition of Rockstadt Extreme Fest will take place, as tradition, in Râșnov, the perfect background for this sort of experience. 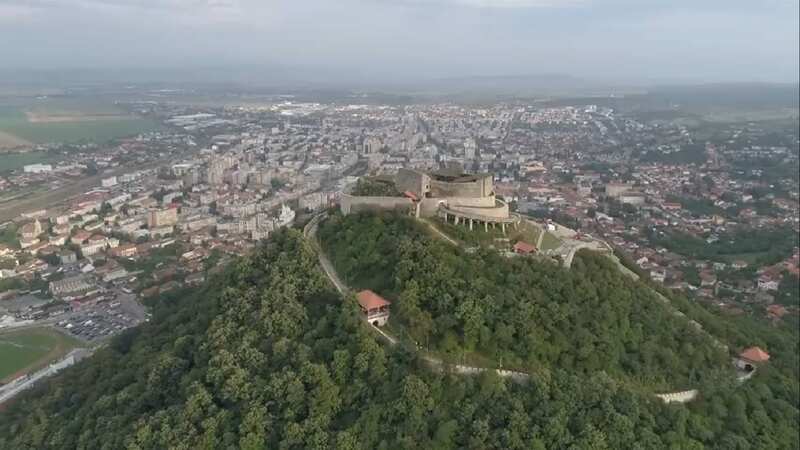 In early August, Râșnov becomes the rock capital of Romania. 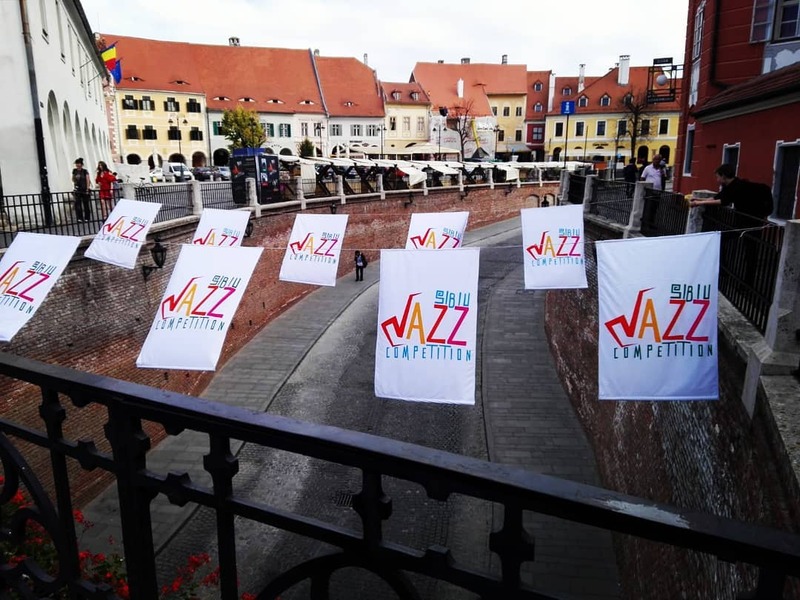 Sibiu Jazz Festival is one of the most famous festivals of its kind in Romania. A member of Europe Jazz Network, this festival gives young artists a chance to shine. 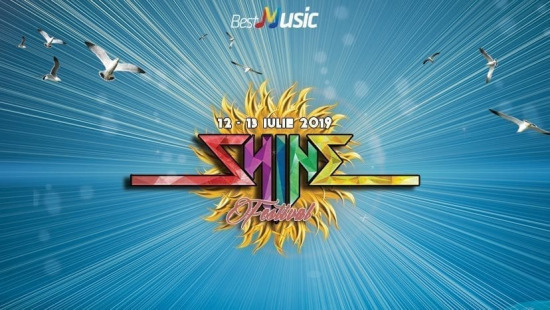 Shine Festival is a music festival with a large number of fans. 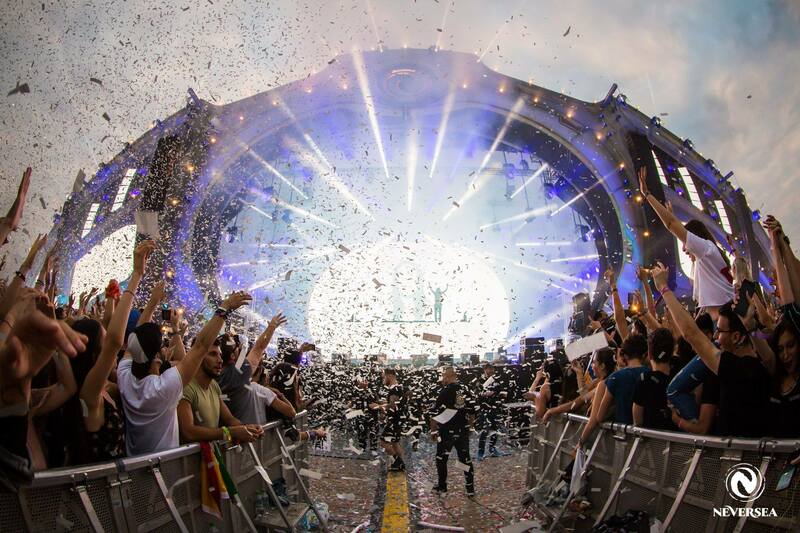 For, now 5 years, this festival brought good music in Carol Park, located in the Capital of Romania, Bucharest. An international event for all the jazz lovers out there. With the stunningly beautiful Apuseni Mountains as background, Smida Jazz Festival. SoNoRo is a festival dedicated to the promotion of chamber music. Other than concerts, participants can enjoy workshops, conferences, and many other events. A festival like a Holiday, Summer Well brings life to the Stribey Area. A great opportunity to see some famous bands, eat some delicious food and spend a weekend with your friends. 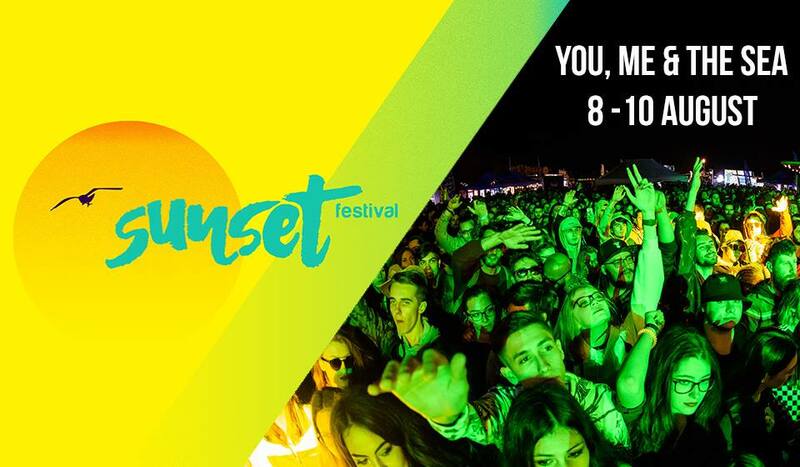 An Urban festival on the Beach in Vama Veche, Sunset Festival creates an unforgettable atmosphere where the waves meet with music, people and street art. At its 25th edition, Sunwaves sure is a festival worth a trip. At a rather short distance from the Capital, Sunwaves brings great artists and an upbeat atmosphere in Mamaia. 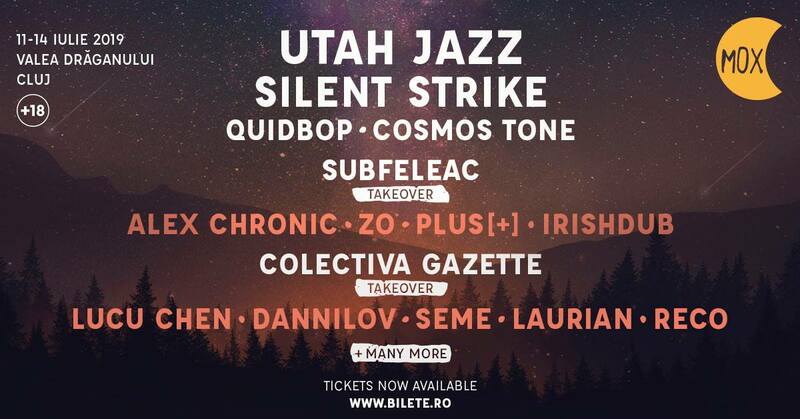 Transylvania Calling is one of Romania´s first outdoor alternative lifestyle, music and arts festivals. Promoting a strong ethos of unity, the festival is about connecting people from all walks of life. 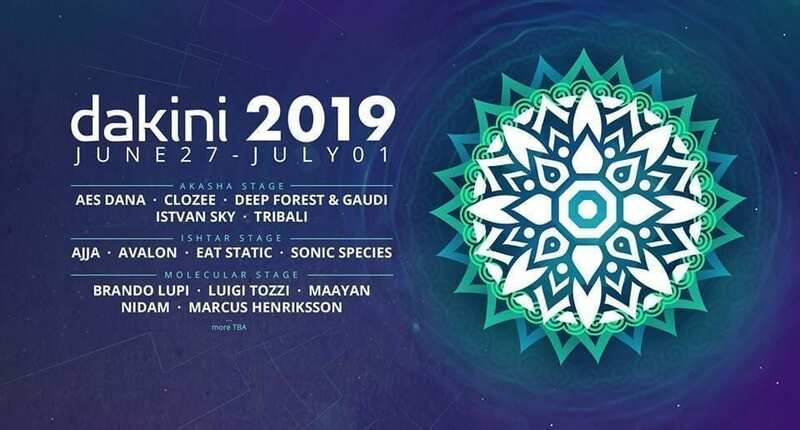 Transylvania Calling is gathering 500-2.000 people from different communities and demographics, who come together to celebrate life, rejoice in music and dance, to learn and experience new things, share their talents, crafts and ideas. TRANSYLVANIA CALLING IS ABOUT YOU, ABOUT US AS ONE! 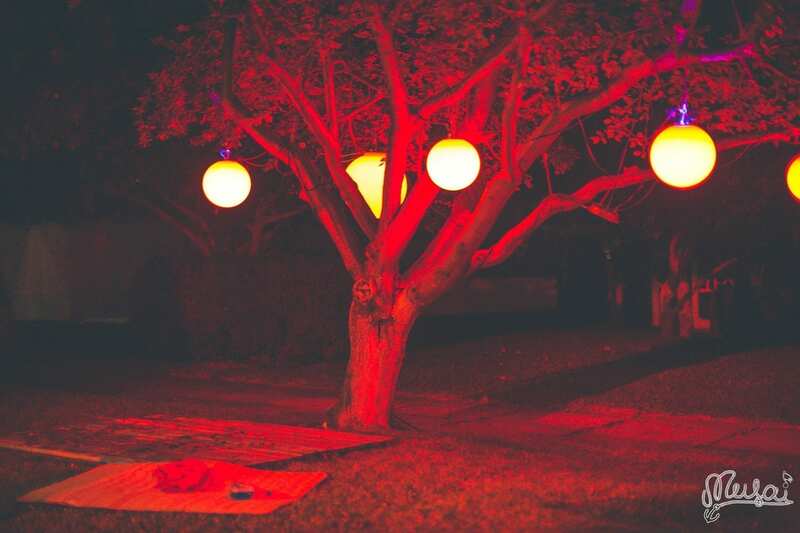 We create this event as an expression of our collective individuality. This invitation goes out to all those who resonate with the calling to be themselves in exceptionally beautiful mountains of Transylvania, amongst friends, old and new. For a full week, we become expressions of a transient greater whole, of the One Spirit manifesting in symbiotic harmony. Audio and visual artisans of aural articulation (aka the artists) entice our senses, inviting us to share, express, and re-program. 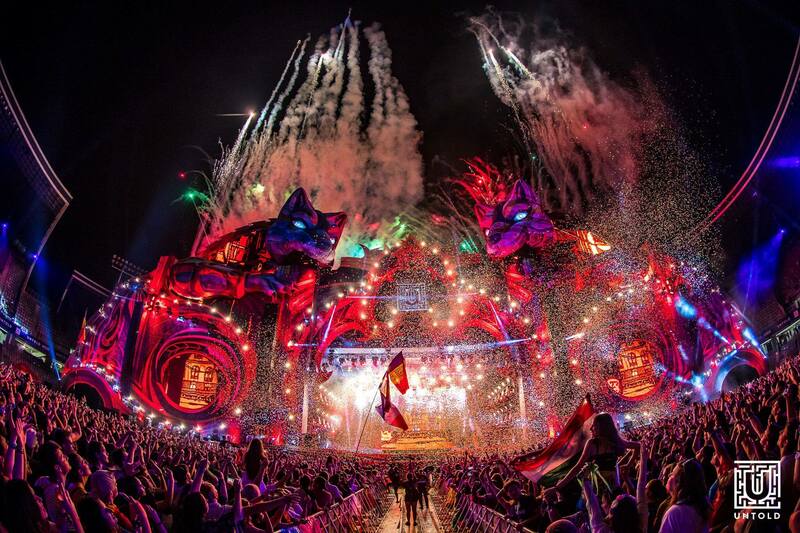 There are very few things one can say about Untold Festival that hadn’t been said already. 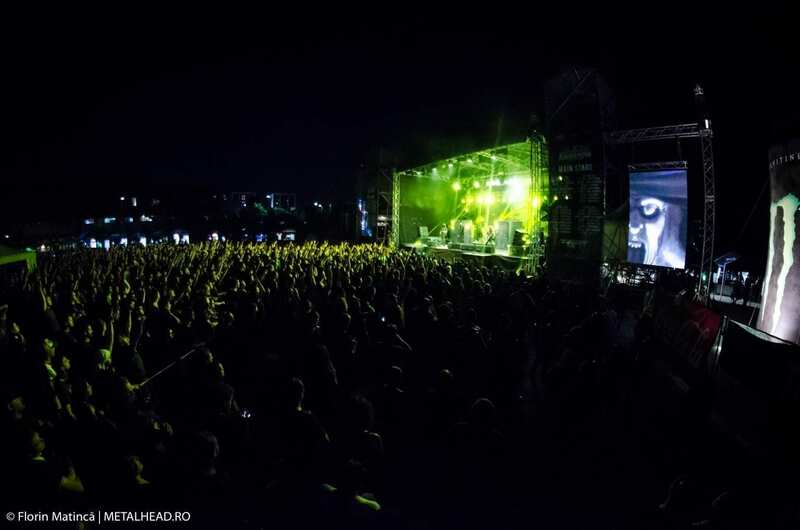 Renowned music events, every year Untold throws a huge crowd in the amazing Transylvanian city Cluj-Napoca. In July, Târgu-Mureș comes alive thanks to the amazing festival Vibe. A multicultural festival, it brings a diverse crowd, but all with the same big passion for electronic music. Waha is a festival about music, dance, art, and spectacle, or in other words an alternative living style. It aims to be rather an experience, then just an event. 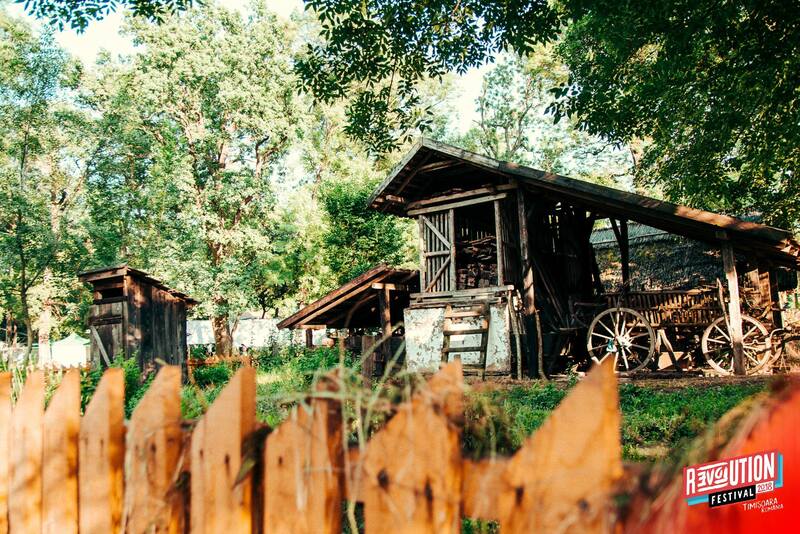 The legendary Hoia Baciu Forest is home to this one of a kind festival. 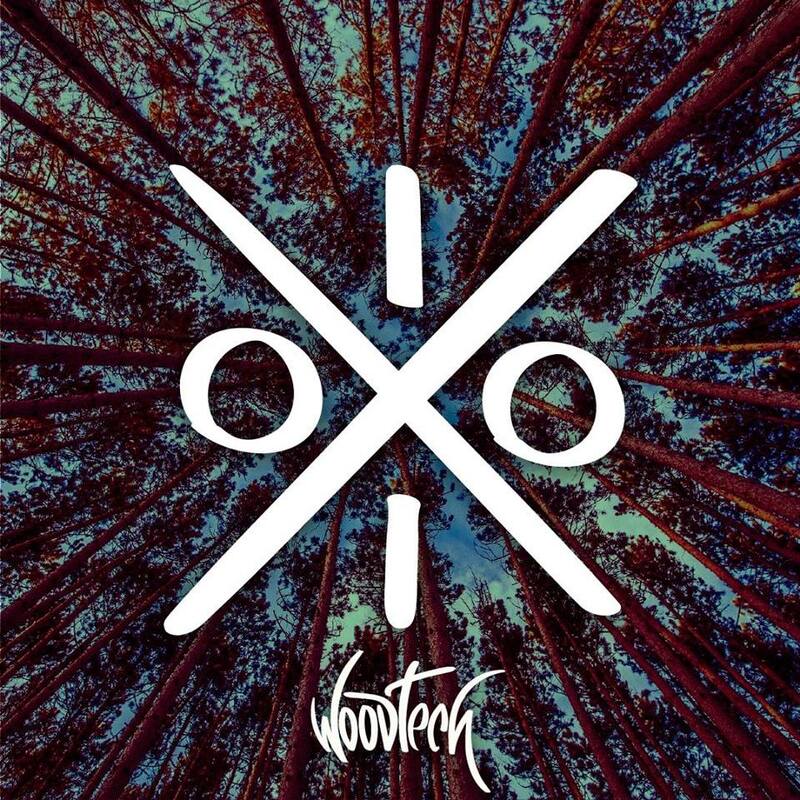 WoodTech Festival brings the best in nature, and in techno music, a combination that proved its efficiency. 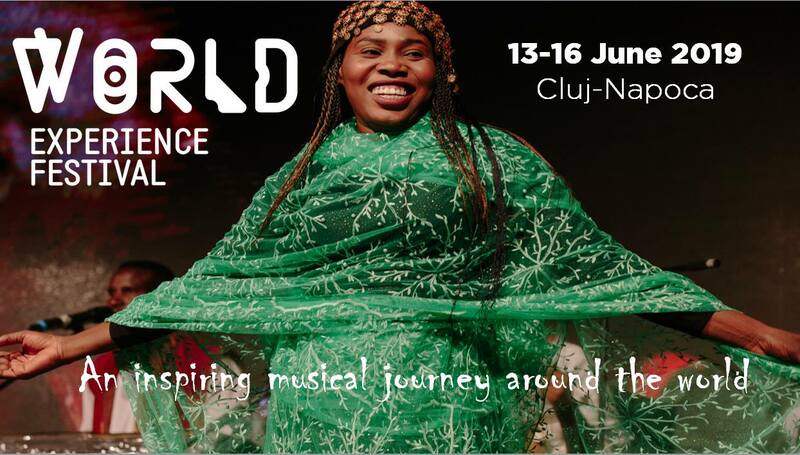 A multicultural experience, World Experience Festival, accommodates over 70 nationalities and cultures. The participants say this is an opportunity to immerse oneself in a multidimensional musical dialogue. 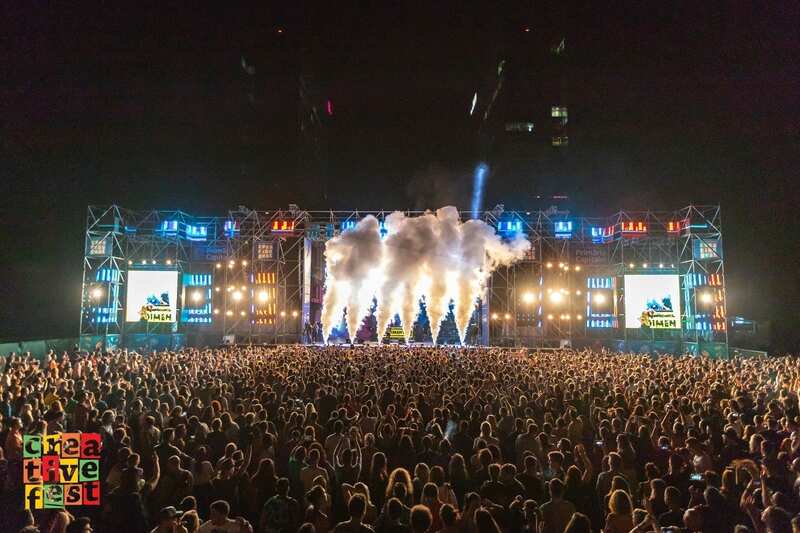 What are the most exciting music festivals in Romania, 2019? From 2006, the Anim’est little Sheep popularized and supported Romanian animation film. Held primarily in some more cinemas around Bucharest this festival is a complex affair that deserves the special places it has in the audience’s heart. A different kind of festival, Anonimul is meant as a space for independent movies and young directors. 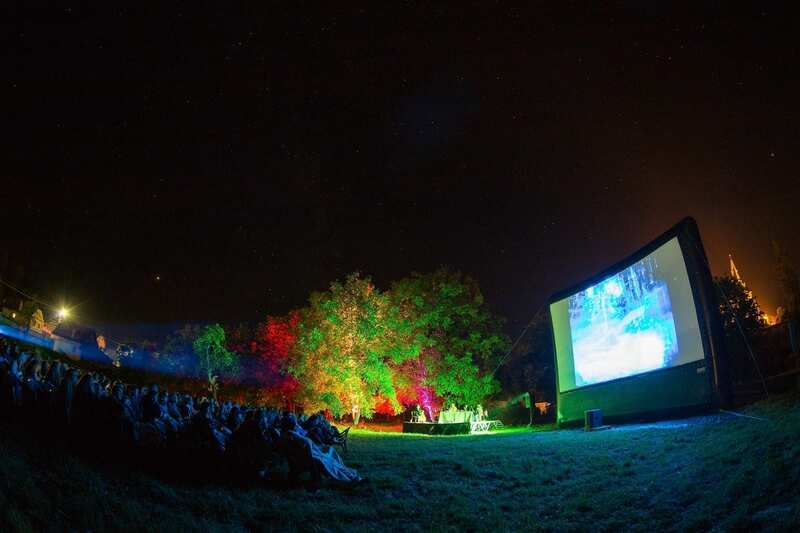 Every year, at Sfântu Gheorge, around 5.000 people gather to watch both long and short movies, in an eco-friendly setting. Astra Film Festival is an international documentary film festival set in Sibiu. With a long tradition, the first edition took place in 1993, it is now the oldest international festival in Romania. 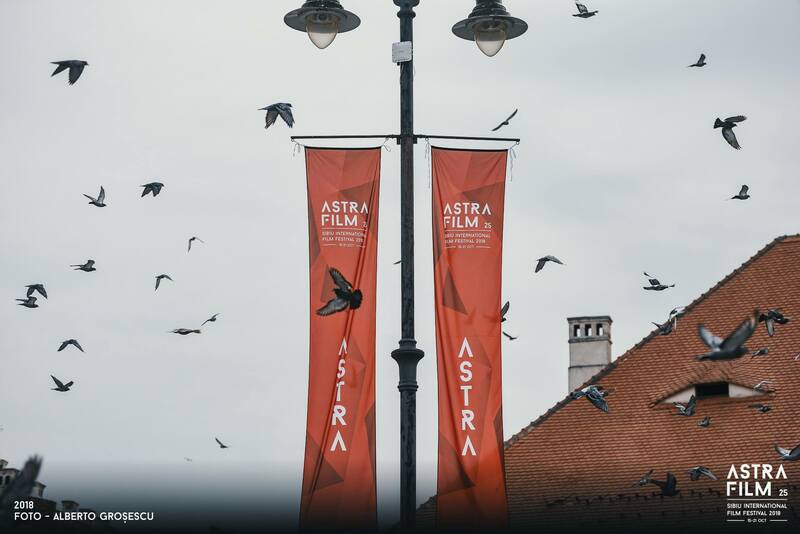 Submissions for Astra Film Festival 2019 are now open with the deadline of March the 25th. This year we are focused on feature-length documentaries (45 minutes minimum) and we can only accept short documentaries (min 15 minutes) for the DocSchool category. The Experimental film deserves a festival of its own, and Bucharest International Experimental Film, better known as BIEFF, is just the event it needs. Presenting short, and long motion pictures this festival has a carefully curated selection. Ceau, Cinema! 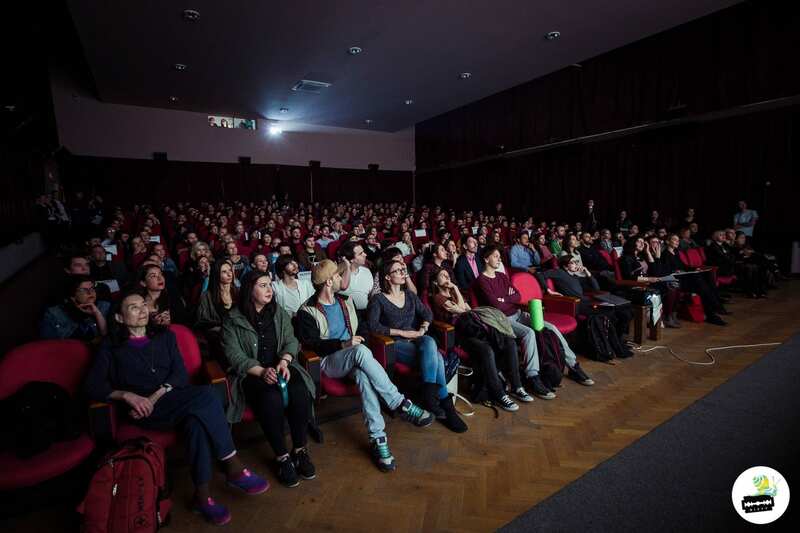 Festivalul de Buzunar, was created in 2013 with the express desire to help popularize European art film in Timișoara. Since then the festival grew in size and in reach, so it is safe to say the mission was rather successful. Under the motto Films connected to reality, fARAD brings documentary films to Arad. 2019 will mark its 6th edition and a great opportunity to attracted important personalities from this side of the movie industry. Read our feeder insider interview w/ Mona Nicoara, the festival’s artistic director. Filmul de piatra, or the Stone Movie, as the name would roughly translate in English is a small, but prolific movie festival in Piatra Neamț. Its organizers try to create a story where, while the movies are the main attraction, music and nature are also important characters. KINOdiseea is a well known cultural event, actually is regarded as one of the most successful international film festivals in South and Eastern Europe, for young audiences. 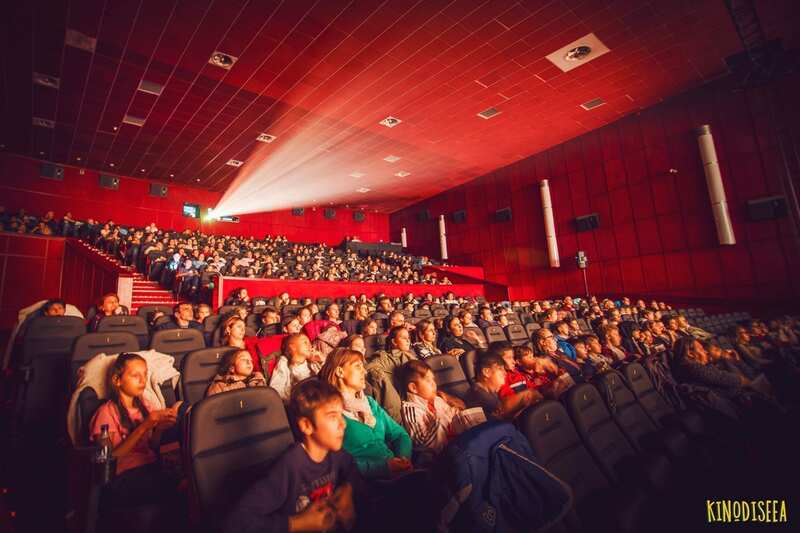 Over 100 movies are projected in more than 10 days, and the young ones, and their parents can also learn, and play, at different workshops, seminars and Q&As. Les Films de Cannes à Bucarest is the festival that, since 2010, premieres to Romanian audiences some of the most anticipated films in the Cannes Festival selection, with screenings and special guests. Les Films de Cannes à Bucarest is a cultural project initiated by director Cristian Mungiu, with the support of the General Delegate of the Cannes Film Festival, Thierry Frémaux. In Romania, Luna Plina is the first event that focuses solely on horror and fantastic cinema. At its 8th edition, the festival became an annual destination for all the horror lovers out there. NexT Film Festival was created in the memory of late director Cristian Nemescu and late sound-designer and composer Andrei Toncu. After 13 years, this festival is one of the biggest of its kind in Romania, presenting at each year over 100 short-movies. 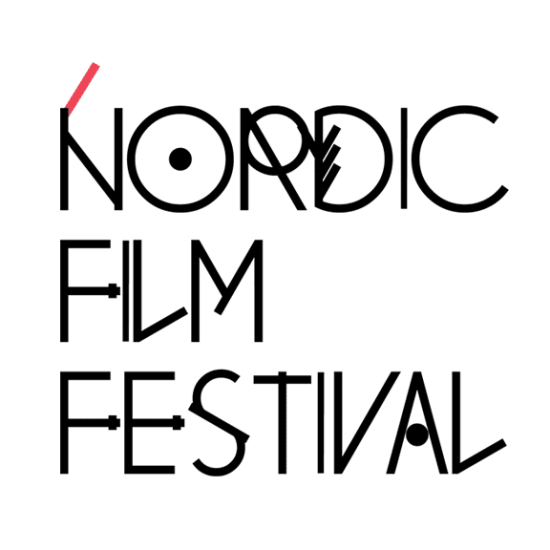 Nordic Film Festival invites you to discover the stories of the Norths and meet the most relevant directors and visual artists from counties like Denmark, Island, Finland or Sweeden. Over the years One World Romania grew from a documentary festival to a real generator of change. Every year, outside the main festival, there are debates, meetings and of course movie screenings. Documentaries, animations and movies, Pelicam festival have it all. 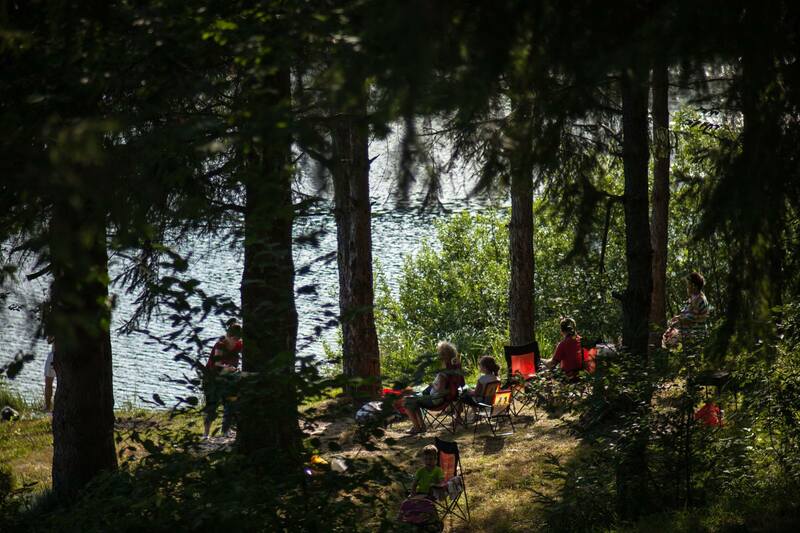 Set in Delta Dunarii, this festival is dedicated to nature and the environment. 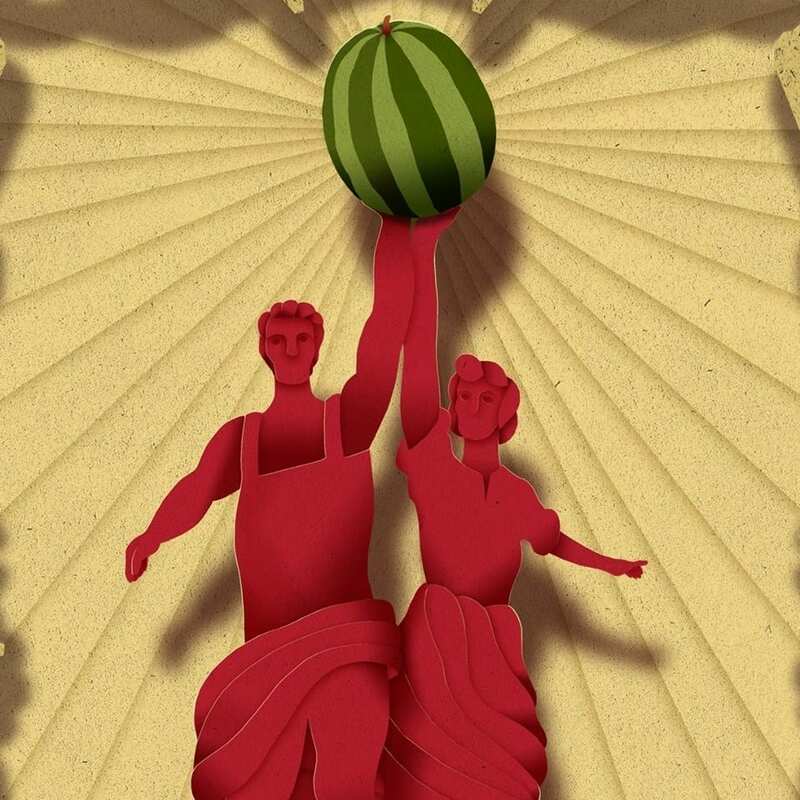 PELÍCULA – LATIN AMERICAN FILM & EXPERIENCE (11-15 September 2019, Bucharest) is a festival like a fiesta, which harmoniously combines movies with dance demonstrations, photography exhibitions with traditional dish tasting, blended with a lot of passion, affection and an awesome experience. Latin America is a mix of sensations and flavour, condiments and passion; Latin America is full of life. Throughout the 5 days of the festival, we screen Latin-American films in screening rooms or non-conventional places. The official competition is opened for feature films from all over Latin America. Submit your films here. PIFF brings to screen the newest and most captivating short films. With a diverse and original program, this festival transforms Ploiești city in a cultural destination. 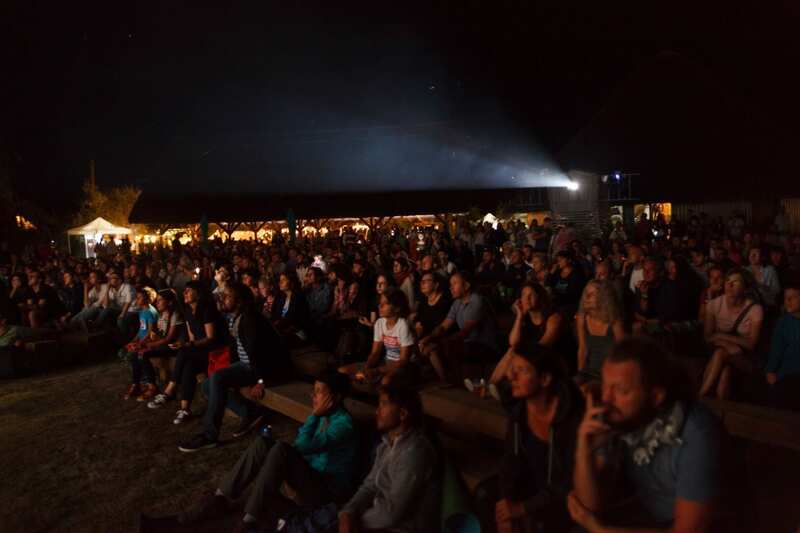 With a clear mission in mind, to increase public access to quality short-movies, ShortsUp takes place in a beautiful park, where the festival goers can enjoy food, street artists and of course movies. In over 17 years of existence, TIFF established itself as a top quality festival, not only in Romania but at an international level. Over time TIFF was graced with the presence of famous names like Sophia Loren, Julie Delpy, Michael Radford, Annie Girardot, Udo Kier, Vanessa Redgrave, Franco Nero, Nicolas Roeg, Catherine Deneuve, Claudia Cardinale or Wim Wenders. Timishort International Festival was born in 2009 from a need for more diverse cultural events in Timișoara. 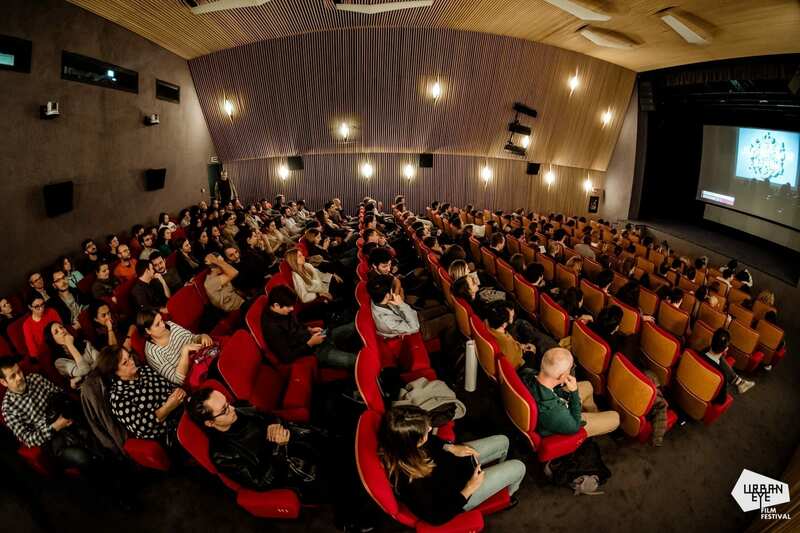 The festival has both an international and national competition and a section for experimental movies. More than anything, UrbanEye Film Festival is a platform for ideas and creative thoughts. What difference this festival is the connection it creates, linking the city with the movie world. 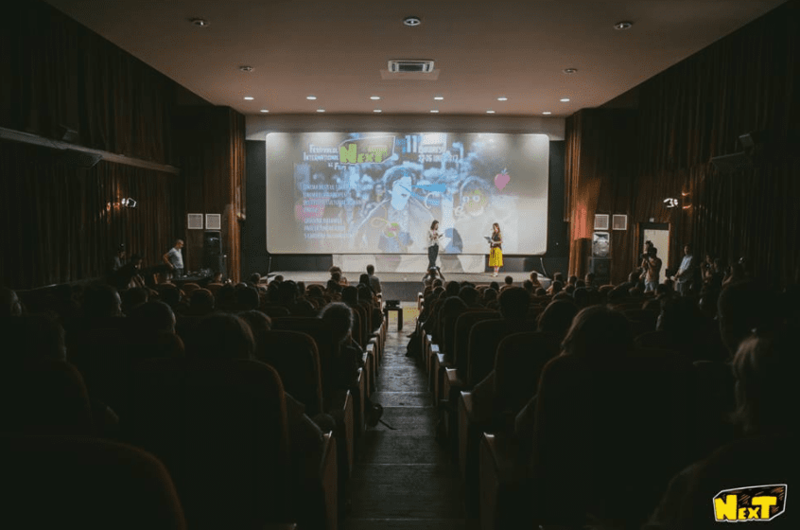 What are the most exciting film festivals in Romania, 2019? 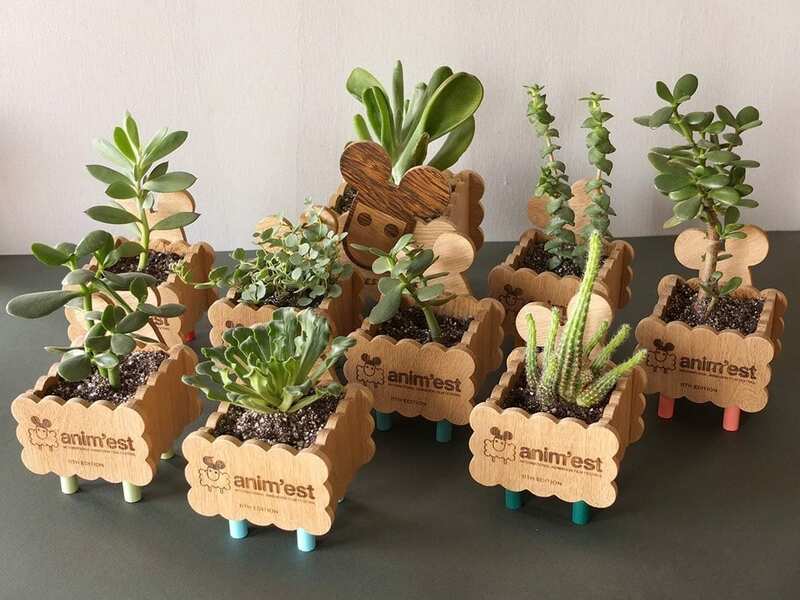 With the categoric desire to present the art world in a new light, far from the museum-like rigidity, Amural is already a renowned brand in the Romanian Art world. Constantin Brâncuși – bust de copil. The annual Art Safari Bucharest held under the patronage of Bucharest City Hall is one of East Europe’s biggest and most exciting arts events. 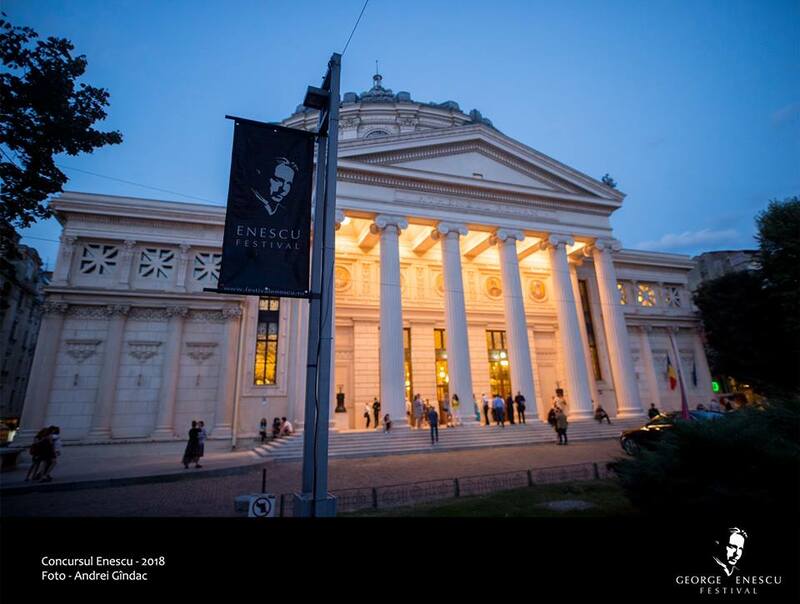 It showcased Romanian masterpieces and international art to more than 120,000 visitors through our Central Pavilion, Museum Pavilion, International Program and educational programmes, that form a unique concept. Curated by acclaimed Romanian and international experts, the Museum Pavilion and Central Pavilion will showcase historic and new art. Read our interview with Hervé Mikaeloff, the curator of the Central Pavilion ”Art on Stage” 2018, Mircea Cantor/Luis Vuitton Foundation, as well as the feeder insider with Ioana Ciocan, the artistic director of Art Safari. BETA (Timișoara Architecture Biennial) continues the series of 9 annual events (2007-2015) and, from the first edition in 2016, it becomes one of the main architectural manifestations in the country and euroregion, with an international dimension. BETA reflects the determination, as a team and as a professional organization, to change the way people understand and appreciate the built environment, with the final scope of improving the processes by which we build our cities. Structurally, BETA can be understood on two levels: a first identity layer, which is present transversely in the biennial and was concentrated in the 2018 edition’s main exhibition and all its related events – the On Housing theme, and a second layer related to the biennial’s objectives, which organizes its content through the following three categories: EDUCATION, PROFESSION and CITY. BETA is organized by the Romanian Order of Architects – Timiș Territorial Branch, a professional organization which resolves to communicate that architecture is a public interest cultural act, with urban, economic, social and ecological implications. The Bucharest Branch of the Chamber of Romanian Architects organises the BUCHAREST ARCHITECTURAL ANNUAL. To fairly reflect the professional activity of its members, the BUCHAREST ARCHITECTURAL ANNUAL focuses on the competition-exhibition showing the projects of the members of the branch. 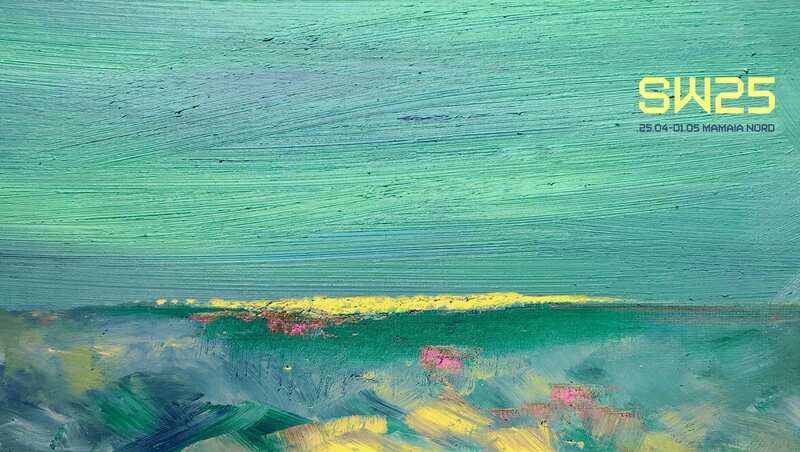 All members of the Bucharest Branch are invited to participate in the competition-exhibition, including those from Diaspora, at one or several sections, with one or several representative works. Bucharest Art Week is designed to promote contemporary visual art and accessible to the general public. Bucharest Art Week intends to become one of the most visible annual artistic events from the region, but it is interested just as much in creating in Bucharest the context for work and cultural exchange, for artists from Europe and not only. Bucharest Art Week seeks to generate new funding instruments for artistic production, residences and mobilities, simultaneously trying somehow to open links of interaction between artists, audience and institutions. 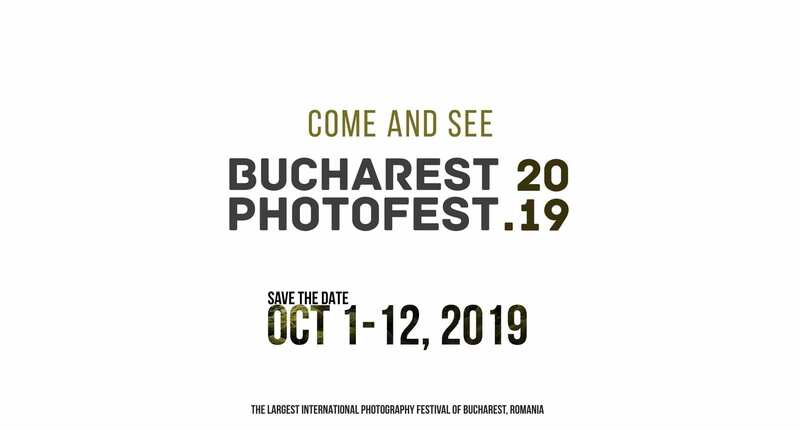 An important international photography festival based in Bucharest, Romania, Bucharest Photofest intermediates the meeting between artists from different parts of photography and all enthusiasts in love with photography art, in general. 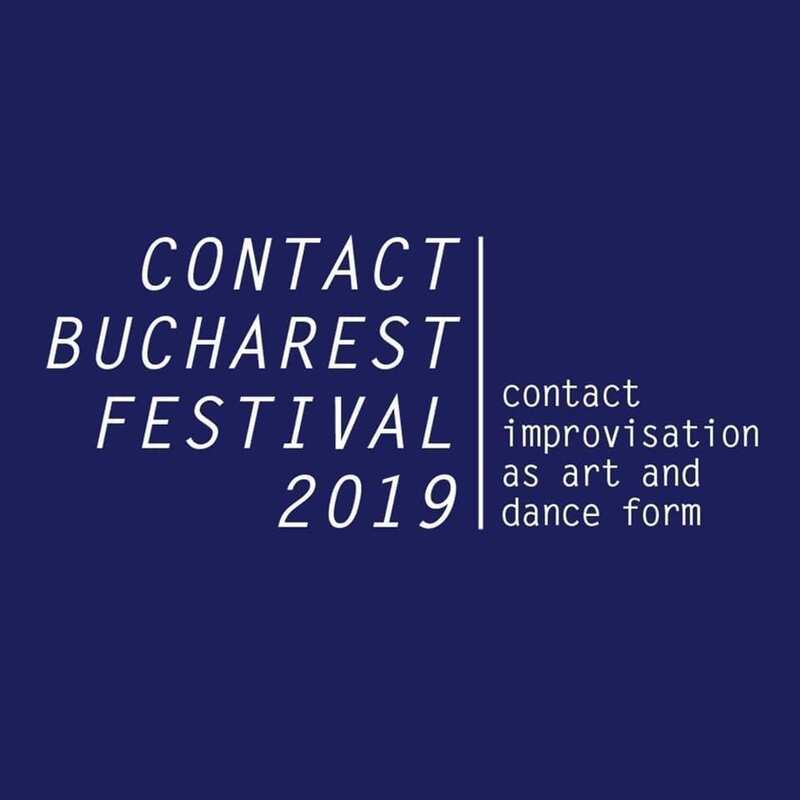 Contact Bucharest Festival is a framework for learning and practising Contact Improvisation as an art and dance form. Keen on active learning, the festival is an opportunity to grow creatively and also to just dance your heart out. Femei pe Matasari is a complex festival that celebrates womanhood, art and urban entrepreneurs. Kids friendly, this festival aims to create a positive environment and support local communities. Starting 2018, after 4 editions of the contest, they have added the Light Artworks Circuit, a special component aimed to educate the public and facilitate the display of impressive artistic light installations. Lights ON features amazing light artworks on display in public areas in Cluj-Napoca, Romania. Like CNDB brings in the public attention important contemporary artists. An event by Centrul Național de Dans București, this festival reunites local artists and international household names. Particles is an interdisciplinary and urban regeneration festival taking place in alternative venues in Arad. Diverse artists take the scene and create a positive vibe. 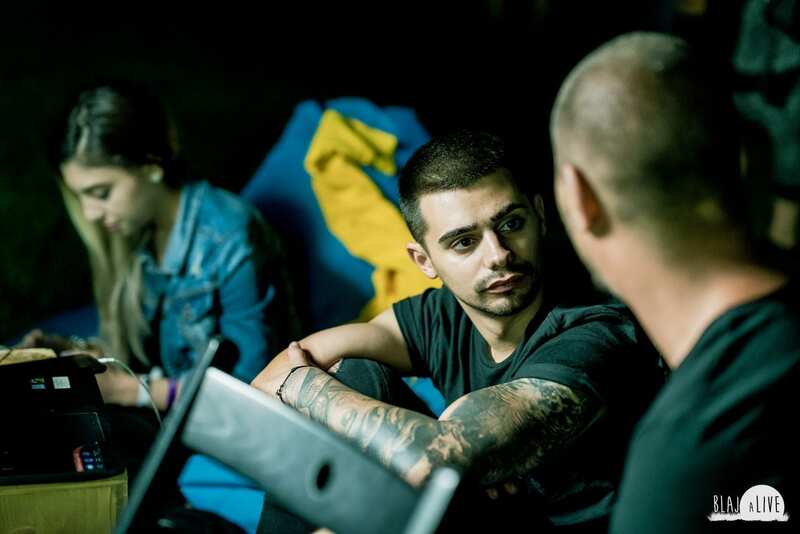 NAG is a project initiated in 2007, with the desire to promote contemporary culture in Romania and help increase its visibility in the public eye. From 2016 this project is present in more than one city. Noapte Caselor is an original concept, designed to strengthen the bond between artists, independent journalists, entrepreneurs and the public. Believing that independent culture is bet put in the spotlight right at home, Noaptea Caselor opens for the public a number of houses. With a focus on music and arts, Rokolectiv Festival is an important cultural event that takes place in April. Innovative, contemporary and daring are just a few of the words used to describe this festival. Every year in May one week is dedicated to designing. Romanian Design Week promotes interesting ideas, energy, the collaboration between artist, all in hope all cultural, social and economic growth. SISAF – Sibiu International Street Art Festival is more than just an art festival, is direct involvement in the city’s social life. With every new edition, more artists go to Sibiu to bring life to the buildings. Someș Delivery is an independent project which aims to provoke and test ideas in the hope to better integrate Someș in the busy city life of Cluj-Napoca. In just a few years of existence, Spotlight Festival has gained a rather important presence in the public agenda. The artistic events attract large crowds. The street should be a space for the people, this is the belief that stands behind Street Delivery. Since 2006 this festival grew in one of the most important festivals in Romania with its “sister branches” in many important cities around the country. With the theme “Poetry is in the street!,” this year’s open call for projects and ideas is now open. You can find the participation form here. The Street Delivery edition in Iasi had a social component that invited some artists to draw the walls of the prison in Ia?i. Big up to Robert OBERT, ERPS, John Dot S, CoonOne, Beno, Jabra22, Alt Astru, Ionut Filimon, Kaps Crew, HomeBoy, Score, Mist! Undercloud is a festival for the independent theatre where quality is preferred to quantity. The organizers hope to bring at every edition interesting and valorous independent shows. 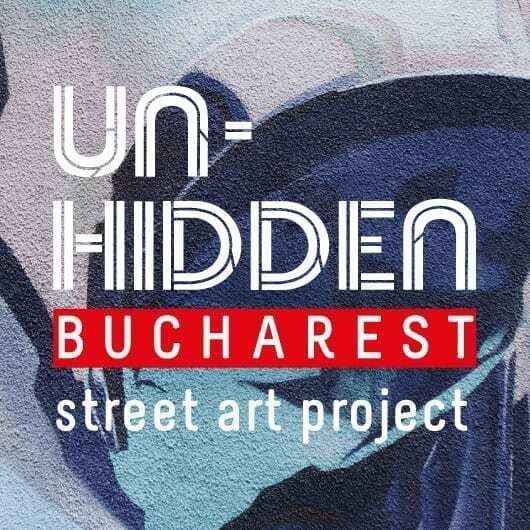 Un-hidden Bucharest is an urban regeneration project conceived as a series of urban signals / artistic interventions in the public space, co-created with the community, aiming at humanizing Bucharest and promoting its understanding and exploration through art. It also produces a street art map of Bucharest, online & print and street art workshops for children. Navitage the street art map of Bucharest here or buy the A2 printed version here. Stay tuned because soon we‘ll announce the upcoming Open Calls, Guided Tours and workshops with local artists. The Un-hidden Bucharest project is produced by Save or Cancel together with feeder.ro. During the two editions which took place in 2017 and 2018, the project produced 8 new murals and street art installations in Bucharest painted and shaped by our local heroes Skinny Bunny, Sorina Vazelina & Primitiv Print, VJ VLC, Pisica Patrata, Lucian Niță – KSELEQOQYNQYSHY, John Dot S., Livi Po alongside iZZY iZVNE (MD) and J.Ace (UK). What are the most exciting arts festivals in Romania, 2019? Pride is the annual festival committed to LGBT rights. 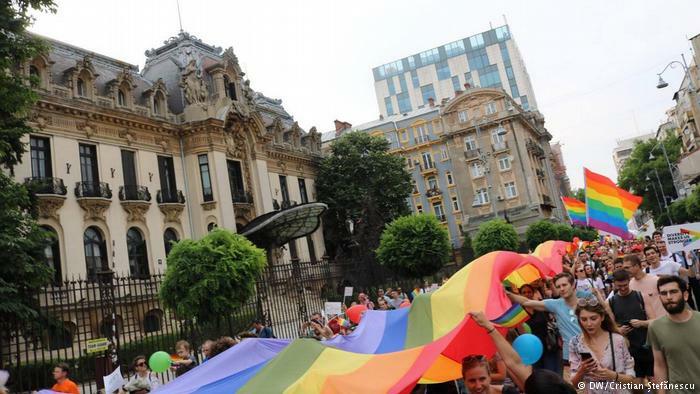 Read ‘Bucharest Pride’ 2018: A victory for tolerance – a DW coverage of the event. Visit the new Pride website here. 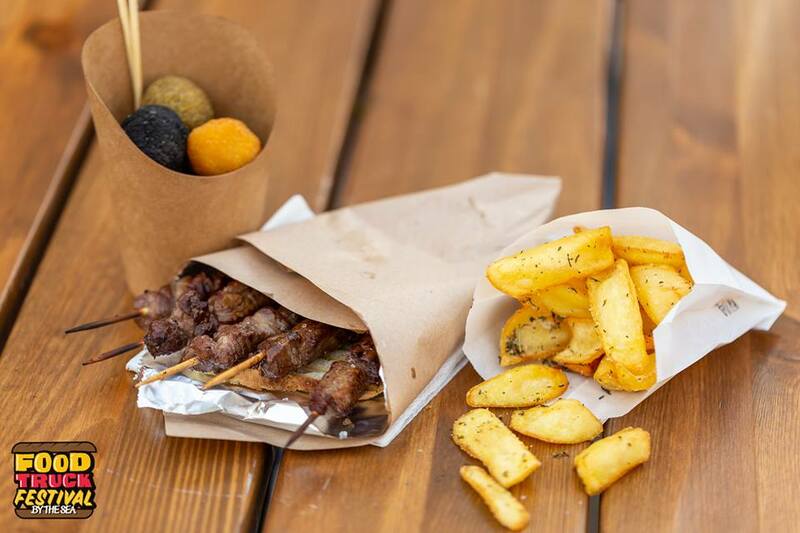 In recent years street food has become quite the trend, so it is only fitting that the Romanian Capital will host a festival celebrating it. Bucharest Street Food Carnival brings the best names in the business in one place for a delicious experience. May brings many great things, and one of them is Burgerfest. For three days you can taste some of the best burgers in the country, also this year marks the festival fifth anniversary. 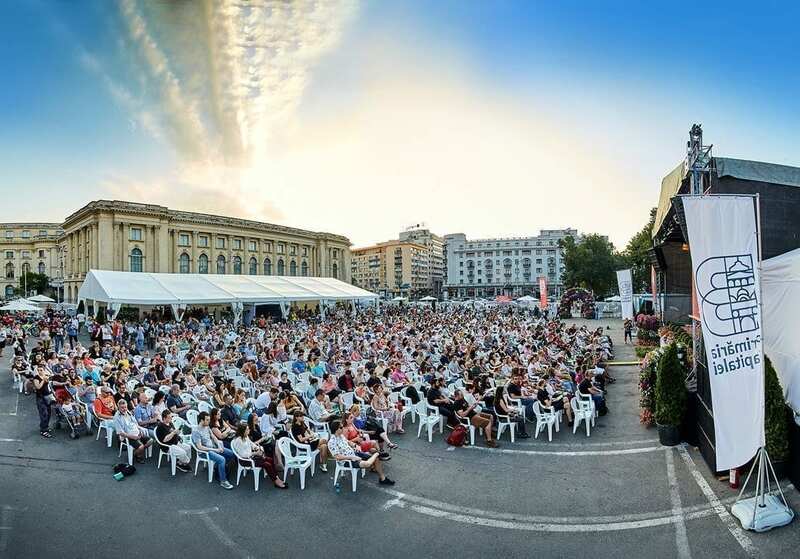 Bucharest Craft Beer Festival 2019 – Great Beer, Great FOOD, Great MUSIC.Do you remember the first edition of the Bucharest Craft Beer Festival? Then we declared with you the 4th of September as the national craft beer day. This year, the fourth edition takes place – as we already announced in December – between 3 August and 1 September. Beers, ciders, troops and DJs who will participate in the festival will be announced in the coming period, so stay tuned to our news feed. Timisoara‘s first festival dedicated to crafted beer, made in small-scale out of pure and good ingredients. This festival, Craft Beer Festival, was born from a passion for artisanal beer. But other then beer you can enjoy delicious food, educative and fun workshops, and concerts. Food Festival Truck is a caravan dedicated to promoting delicious street food. Burgers, hot-dogs, kebab or fish and chips are just a few of the options you can find at this event. Another great food-themed festival is based in Cluj-Napoca. Street Food Festival brings diverse culinary references that will interest any gourmand out there. In the last decade, the T-shirt has become an unreplaceable item in all of our wardrobes. So, naturally, a festival should celebrate its status. T-shirt fest has workshops, debates, and above all, T-shirts. What are the most exciting lifestyle festivals in Romania, 2019? Have fun and do let us know if we missed your favourite festival. Submit all your votes until the 13th of April! 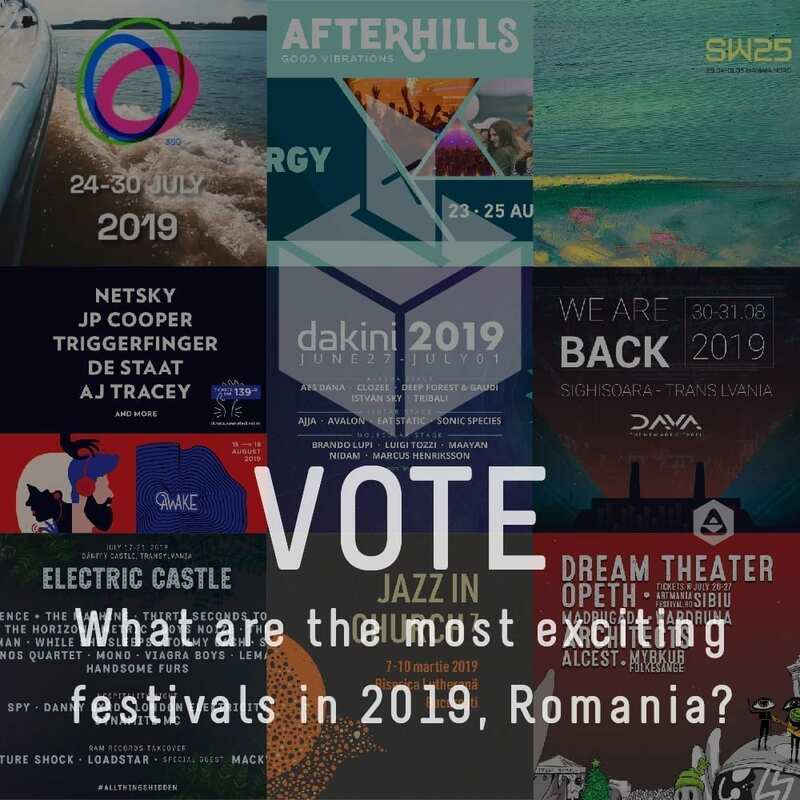 Browse the previous Romanian festival polls and tops 2018, 2017, 2016, 2015 and also the 2019 European arts festival list. Photos © the authors, as specified. Let us know if we failed to correctly credit any of the images. Hello Bogdan, Îți mulțumim pentru sugestie. 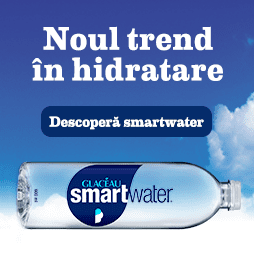 Ținem cont pentru următoarele materiale. Acest sondaj se închide în 2 zile. Sigur, nu-i nicio problemă, mulțumim frumos!